The Samsung announced Galaxy Ace 3 officially in the market now. Recently, Galaxy Ace 3 was leaked on the internet, and now it has been introduced by the Samsung itself. The Samsung Galaxy range has collected a good response from the market and Seeing the grand success of Galaxy ace 2, Samsung added ahead model ace 3 on the list of the most awaited phones by mobile users. 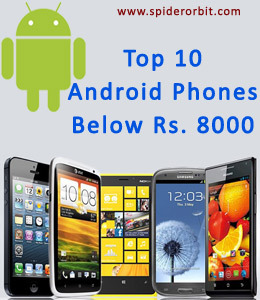 Now the Samsung is again trying to collect appreciation from the customers with latest galaxy ace 3. It has unique features like Smart Stay which makes it different from another Galaxy Ace phone. The company brought this device especially for budget phone users. Galaxy Ace 3 looks pretty much resembles a smaller copy of “chubby” Galaxy S4, sensations also comparable. But a smartphone is much better and more reliable in the hand due to the lower 4-inch display, although the resolution is quite low – 480×800 pixels. Samsung has traditionally been used to create a large number of plastic housing. 1. 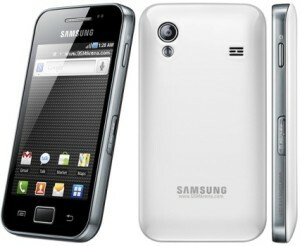 Galaxy Ace 3 comes with a 4.0-inch TFT LCD capacitive touchscreen WVGA display with 800×480 pixels resolution and 16 million colours. It runs on Android 4.1 jelly beans and supports 2G,3G and WI-fi networks. 2. It has 1 GB RAM and 4 GB internal storage. A micro SD card slot is available to expand storage up to 32 GB. It is powered by a Li-ion 1500 mAh battery. 3. Galaxy ace 3 has a 5 Mega Pixel primary camera with LED flash and autofocus which will produce HD quality output but It has only a VGA front facing secondary camera. 4. It is powered by a 1GHZ dual core processor along with 1 GB RAM so It will be much better than Ace 2 and compete all high class smart phones . 5. It has dual SIM , Bluetooth and many other features. It may come with application S Translator, S Travel, S Voice, Samsung Hub and Samsung Chat On and Power will be given by 1500 mAh Li-ion battery. 6. Galaxy Ace 3 includes a Smart Stay feature which saves battery of the phone. Smart Stay check either a user is looking at the phone or looking away , if a user looks away then it automatically saves the battery by reducing the screen light. 7. The Galaxy Ace 3 has very sensitive touch screen and comes with an Accelerometer, Digital Compass, Proximity and AGPS connectivity. 8. The phone is also expected to have Bluetooth v4.0 and USB v2.0 to transfer data at fast speed. As we mentioned above, the display has a resolution of 800 x 480 pixels, which gives a pixel density of 233 ppi. Individual pixels from a normal viewing distance you can notice, but for most applications, the display is quite detailed. It should also be noted that, in our sample, GT-S7275 supports modules with support for LTE frequencies 800, 900, 1800 and 2600 MHz, which are accepted in Russia and Europe. Galaxy Ace 3 is pretty easy for its size: it weighs 115 grams, we calculated the density of 1.54 g / cc. The display is about 55.4% of the front panel, which is not very good. Perhaps for most low-end models is fine, but at the same HTC One Mini display occupies a large area – in spite of the two front speakers. So Samsung has the potential to improve the smartphone. All areas of the smartphone is easily accessible, even when working with one hand. Smartphone is easy to use even for those who have small hands. The rounded edges of the casing of Ace 3 are comfortable in the hand, of course, if you like the materials used.